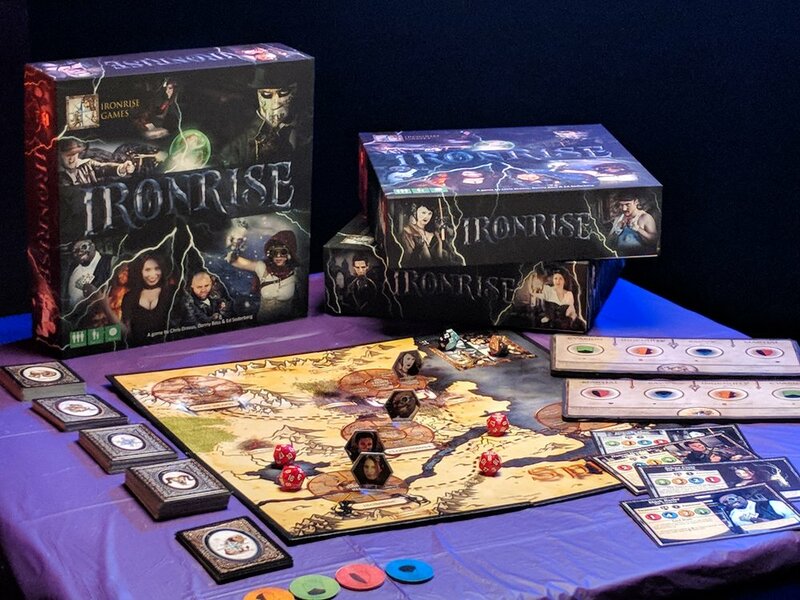 Ironrise is a 2-6 player adventure card game featuring co-operative play in a team vs. team format. The game is set in a narrative world existing in media beyond the game itself (Spirel), and is set up as groups of adventuring Heroes (one team) faces off against scheming Villains (the other team). Mechanically, Ironrise uses cards as assets which must be managed and played in an adversarial manner against the other team. The core mechanic is the "challenge" in which cards are used from each team in "slots" in order to determine who is the victor in an array of encounters, in a quest to accrue the most victory points.